PEPPER POT PARADE BY JOE MORLEY. 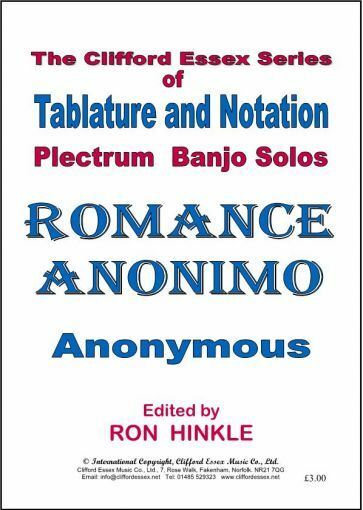 Location: /Sheet music/Plectrum Banjo/ROMANCE ANONIMO - ANONYMOUS. 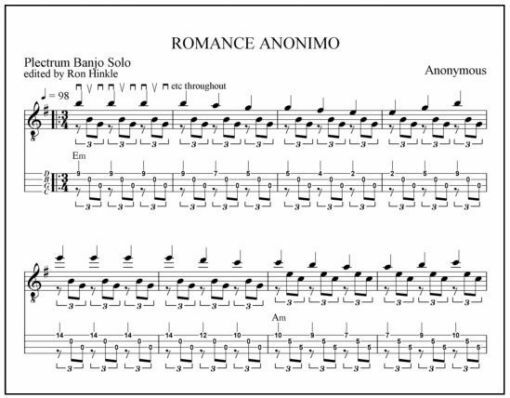 This beautiful piece of music was originally written for the classical guitar. You can see and hear the original version here. A SPANISH ROMANCE BY EMILE GRIMSHAW. EDITED BY RON HINKLE. THE BANSHEE BY EMILE GRIMSHAW. AT SUNSET BY EMILE GRIMSHAW.